Yes, that is a bold statement, but it is true. Over 200,000 shirts are in use worldwide by federal agents, law enforcement, special forces, and diplomats, as well as executives, business owners, judges, doctors, lawyers. Men and women from all walks of life seeking concealment gear love our selections. If you need to carry a handgun for self-defense you will find the UnderTech UnderCover brand of shirts to be the highest quality, most functional and most comfortable shirts available. There's a reason UnderTech UnderCover is the number one brand of concealment clothing in the world. Love the shirt, carries 2 guns and 2 mags as comfortable as it gets.. in this pic I have a Glock23 on one side and a S&W Revolver and extra mag on the other.. best conceal package I have.. Awesome fit. Excellent conceal concept. The shirt fits exactly as you want it to. It is tight due to being a compression shirt but not uncomfortable. I wore mine with a Springfield Armory .40 cal, 3.1 inch barrel and honestly couldn’t tell the pistol was there, no sagging. Doesn’t matter if you are right handed or left, pockets on both sides. Love the way it fits. May have to invest in another. Best way for me to carry! Holds very comfortably. Very comfortable. Would recommend to everyone. Love it! Very comfortable . The product was everything it was advertised to be. The fit was good and it shipped in a timely fashion. FIrst time using it was comfortable, held my Glock 40 perfectly.. only issue is that I did order one size larger and thankful that I did... my normal shirt size would never have fit... shirt offers a lot of support as well.. I bought my husband 2 Mens Concealed Carry Crew Neck Tees for Christmas. He loves them. They are great quality and it's much easier for him to carry. I bought it for a Christmas gift for my hubby, he has a couple other holsters, but he can't wear his button up shirts with out printing a great deal or also feeling bulky, he's also a mechanic and does not want anything to snag,so I got him the men's black shirt and he wants me to get him more! He wore it to church and had his plaid button up shirt on with no visible printing. He likes the ability to carry 2 if He wants to. He says its so comfy he almost forgot he's wearing them. The length is good too, he wears size xlarge in most shirts because he has a broad chest and long arms therefore most large shirts are too short for his arms but the x large are usually too much width in the middle , I ordered x large to be safe and it fit perfectly. He appreciated how it was long enough to stay tucked in without bunching, or pulling up under his button up shirt while being tucked in. We were impressed and deffinately will be purchasing more items in the future! My first of these types of garment. Seems to work well, however I’m not crazy about the way the strap that secures the firearm attaches. I also would prefer a v-neck to a crew neck. I’m not unhappy with the purchase but my next shirt will definitely have to be a crew neck. Definitely this is a quality garment is the bottom line. I'm a bid dude, so make sure you get the size up than what you normally wear... It's good to have under your shirts; you can pack 2 guns if you like, but not bad and I will buy again. The T-Shirt was very comfortable, I don't notice the sidearm in the underarm location at all and there is no print of the sidearm through my dress shirts. I really am happy with this T-Shirt. Great fit, much better than I had expected. Fits well and really holds my EDC well. Thank you !!! Works as advertised. Perfect concealment in the environment I am currently working. Comfortable and easy to clean. Will be ordering a few more shortly. I've just got it and only worn it a couple times but I find it very comfortable and once on I can hardly even feel my gun .. I had to keep checking to make sure it was still there. Cooling material but still a bit warm.. Will be even more comfortable during cooler weather. Absolutely love my shirt, carried 2 guns with 2 mags and it was completely comfortable. I am telling all my friends about them and highly recommend them for comfort when carrying concealed. Noone i was around even knew i was carrying at all. Very comfortable and a perfect fit. XXL was a bit tight. I normally wear XL. The shirt held my Glock in place better than I expected. Had it on all day and never had to adjust it once. It is the most comfortable holster i have worn. 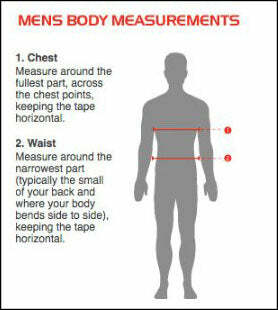 I realize it is a compression shirt but it should state to order the next size up from your current shirt size. I wear a large size shirt so I ordered the large compression shirt as per the instructions. I can barely get it on and off without having to struggle. I highly suggest going up one size. Would love to do an exchange for an X-Lg shirt. The form, fit, and function were spot on! After receiving the shirt I wore it all day. I almost forget I was carrying...it's just that comfortable! I will purchase more and soon! Great fit and stays cool..Very comfortable....Only downside is its not good for fast draw...Still will buy more..Just to see, I put my 9in on one side and my heavy Judge 45/410 on the other...Couldn't tell the difference.....I am impressed how it fit and how it stays cool..
First time buyer and hooked. My full size fits perfectly and the shirt is very comfortable. I've tried a lot of holsters but nothing compares to this,I love it! Arrived right on time. Great, comfortable for and great function. Plan to purchase more! The crew neck t shirt is very comfortable and holds my 9mm shield securely. Overall, I’m very happy with the quality and fit. I’ve recommended it to others! Couldn't be more pleased. Love the fit. Handgun fits nice and snug. Don't even feel like it's there. Gonna purchase more. Fit great, not too restrictive while still being snug enough to prevent moving around if you need to remove your weapon. Highly recommend it. 5'10", 175Ibs . I ordered size large, and it's a perfect fit. Very comfortable for all day carry. Kahr PM9. I really like the shirt. I've worn it twice and have found that I have screwed up. It is really uncomfortable. I ordered 2xl and should of purchased size 3xl. Other than that the concept is great. I will purchase the larger size .white and black when I can afford it. Being retired at 68 means I'm on a fixed income so it could be a while. Very comfortable fit and wearing it all day is a breeze. Will order more. It fits snug and conceals well, looks good an feels good ! I will be returning for more. 1 tee won't get me through the fall ! Received my two shirts within 4 days!! My husband and I love them!! Fits great!! Exellent quality and fit. Just what the Doctor ordered. This is an excellent product is not hot very comfortable to wear and good way to concealed your weapon . Fits great and is very comfortable! I'm always looking for a new way to carry discreetly and this product fills that need nicely. I was, however surprised to see how snug the shirt fits. I like the way it fits. My weapon is held securely against my side. It sits there comfortably without causing discomfort. I can live with this as the most comfortable of all I've tried. I love how it fits like a glove. Holds my Kimber Ultra Carry 45 acp with no print, feels like it's not there at all. Best purchase of a holster/under shirt I could have made. Fits perfect, holds the weapon very securely, very comfortable with the weapon in place. No one knew that I was carrying and that was the point. It is hot though, to wear in the Deep South (Alabama) with the humidity being what it is here. I still am very pleased with the product and highly recommend it to anyone who is looking to conceal their weapon. Very nice t shirt. Other conceal t's I have, my carry m&p shield 45 will undo the Velcro and come out, not with this conceal t. I wish it had better magazine holder cause they fall out. Only problem I have. Over all love this tee and ordered two more. Love the concept. Trying to accommodate every day summer clothing. Any recommendations for best large caliber carry gun fit? Ruger LC9 is pretty good. 1911 officers is too bulky. excellent quality. fast draw. holds pistol well. I wear it everyday at work. Truly deep concealment. The two that I originally ordered are still in great shape. I would recommend UnderTech clothing enthusiastically​. Just received the product but it seems to wear like advertised. Fits great and feels cool! Undertec is very comfortable, I where a dress shirt and tie everyday you can not tell I am armed. I have a glock 30/45 double stack and a 10 mag it conceals it perfectly. I told my shooting partner and best friend I purchased undertec we ment at the range and he ask when I was goning to Start wearing my new shirt. When told him I was he could believe it. He will be ordering one too. Thank you fantastic product. I enjoy the close to the body fit and the slim silhouette in a suit and sweater. I wear this everyday and my sidearm fits perfect and feels comfortable against my side. Great shirt except it is very tight so when you order always order a size or two bigger. Even though its tight it is still very comfortable but I just prefer loose clothing so getting use to it will take awhile. I asked specifically if it was athletic cut , The person I spoke with said no.....Trust me it is. That makes for a tight fit on a guy who has a little belly. LOL . I should have ordered a XL but based on the information I was told , I ordered a L .
My brother had one of these shirts and told me about them. I got mine and I love it. It fits great and fills good, the gun doesn't move around in it. May have to get another one in black.